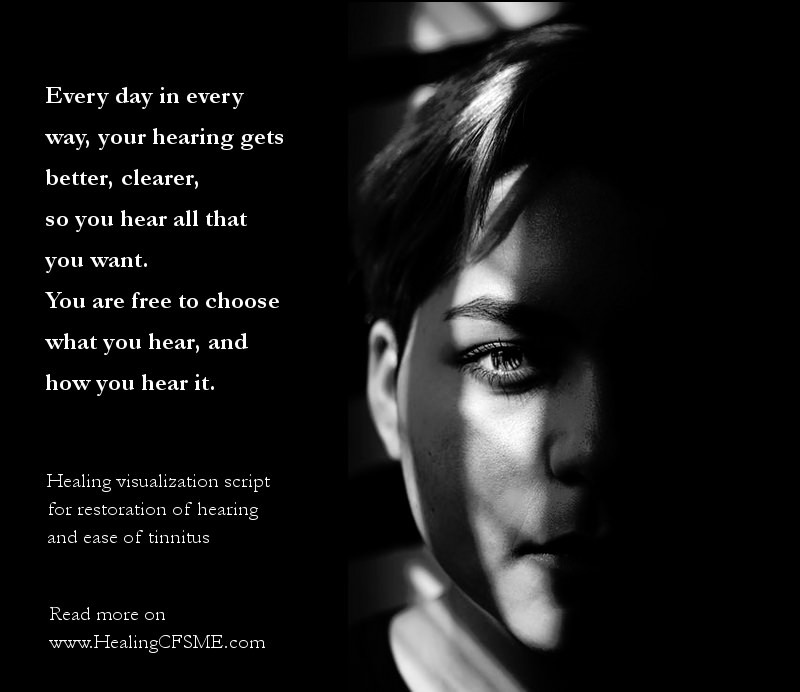 This article shares a series of healing meditations and visualization scripts for easing tinnitus and restoring hearing. 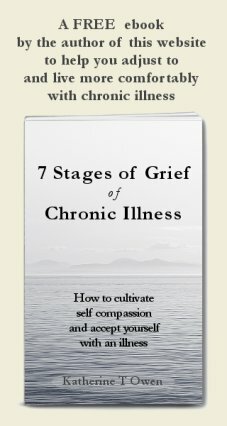 They are shared with www.HealingCFSME.com with great generosity by Daniel Brooks, who previously visited the website to leave a comment. The healing meditations script below draws on a process I recently learned from the Hypnotherapy Academy of America here in Albuquerque N.M. USA. My focus is not limited to the silencing and healing of Tinnitus. The visualization also holds a vision for the health of the ears and recovery from deafness or partial hearing loss. This script is now in my phone recording app and I listen 3 times a day. The names included are the names of my own dear friends. People can replace them with names of their choosing. Folks should feel free to use the guided healing visualization script any way they like, and make it their own! This is a list of the parts of the script which appear in this article. They form a whole and are intended to be done in the order given. Finishing the self-healing process - return to full waking consciousness. If you are seeking physical healing for a chronic illness or other condition which is not hearing related, you will need to adapt the wording to your particular situation. * the visualization to draw out of the body what you do not need. You could do these parts of the healing visualization on their own. Close your eyes and exhale. Feel the arms & legs growing longer, as the body / mind expands with each easy breath. Just like a balloon. Slowly calmly and easily become larger and lighter, first filling the room, then expanding beyond the room, the building, and finally the entire state. Stay with this expansion of body / mind as you exhale 3 times. More and more you find that all that once was seemingly separate from you has been unified with your infinite divine being. Feel, sense and connect to the truth that there are no "separate things". If you try to pick out any "thing" by itself you find that it is bound by a thousand invisible cords that cannot be broken to everything in the universe. And so YOU are the completeness, the wholeness of all creation, beyond concepts, and illusion. Now become attuned to the sound vibrations. As you exhale 3 times, feel the full range of sound vibration from high to low. Cup your palms over the ears and as you breathe deeply and steadily repeat the "OM" sound 3 times as you exhale. Feel that resonate inwardly and outwardly, as the vibration expands and merges with the infinite universal life force. Know now that this benevolent force is all the goodness of the universe, all knowing, all loving, and all healing. What you are about to hear makes a deep and vivid impression on your creative subconscious mind and so these ideas become your everyday experience. Hearing is a special gift of your being. Your being is complete, and your connection to healing is limitless. Every day in every way your hearing gets better, more clear, and so you hear all that you want. You are free to choose what you hear, and how you hear it. You are calm and assured in knowing that your body knows how to heal its self, and what can be gone without explanation, can also return without explanation. You welcome and accept the transformation of your ears, and the restoration of your hearing ability. You love your ears and the wonderful gift of hearing and so you protect and care for them. When you are in uncomfortably loud environments you use hearing protection as needed and easily adapt. The anatomy and physiology of your ears is transforming. All the parts are aligning now to restore hearing function to normal. The Mallius, Incus, and Stapes bones are healthy and strong. The spiral organ of Corti is filled with just the right amount of fluid, and balanced with the correct quantities of sodium and potassium ions. The Basilar fiber responds more and more to sound waves, sending the sound signals on to the cochlear nerve, along the auditory pathway to your brain. Your brain now easily remembers and creates the sensation of sound from your ears. 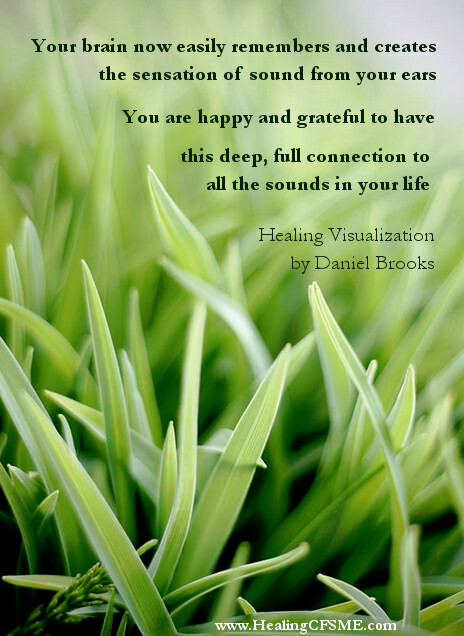 You are happy and grateful to have this deep, full connection to all the sounds in your life. Because you are one with Divine Healing Power, The Beloved fills you with healing energy. Your body/mind responds and directs the inner healing intelligence to restore your natural healing ability. You accept the gifts of hearing and healing with gratitude. Now imagine sense and feel that you are walking toward a garden. As you near the entrance you are greeted by your friend James, playing the drum. Together you enter the garden and see a moving sculpture. It has a mallet that rhythmically taps an anvil that causes a stirrup to move back and forth. The sculpture is out of balance, and you gently reposition its parts until it is working smoothly. Now as you move along, you arrive at a beautiful planting of healing herbs that form a labyrinth. As you walk this spiral Verena plays her flute and you notice several curved rows of Leeks, that are a bit hampered by weeds. Verena helps you as you tend to the Leeks. 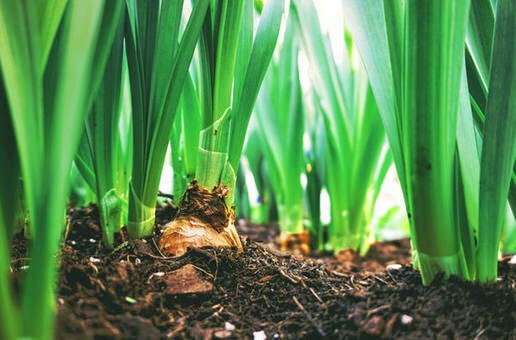 You clear away the weeds and give each plant what it needs to grow and thrive. 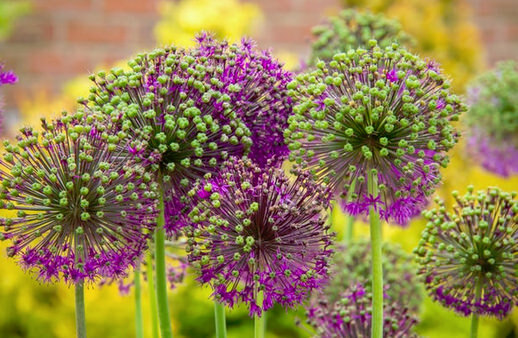 One by one you give care and attention to all the hairlike plants from the smallest to the largest in every row. As you finish your work Verena smiles and whispers, "This is your garden of sound". As you look back at your garden you feel calm and at ease, you realize that the whole space, the sculpture, the labyrinth, the healing plants, and all the energy they share form a completeness. This is the garden of sound and natural hearing function, and because you are lovingly tending it, you enjoy all the beauty and abundance of vibrant sound. Now make that as vivid and real as you can. Imagine sense and feel that you are with dear friends on a warm summer day in an ancient cedar grove. The air is fresh and clean and you sit together. James is playing his drum and Verena her flute. All are happy and well, and the happy sounds of the forest join in the celebration of sounds. You are joyfully hearing all of these beautiful sounds. You are in love with sound and your natural ability to hear. This is a true blessing in your life that brings you great Peace, and so you feel deep gratitude. Now as you exhale 3 times bring awareness to the body / mind, bringing this healing force with you. And as you come closer and closer to full awareness of the body, guide the healing energetic force to concentrate in your heart. Feel sense and imagine it as a ball of golden healing light. Now be completely aware of the body. Once again you are back in the room, in your recognisable form, as the healing light fills you with peace and love. creating a perfect balance as it touches every system organ, gland, muscle, tendon, and nerve of the body. health to the marrow of the bones. And now as the ball of light enters the brain, feel a gentle yet powerful vibration start to resound outwardly toward each of the ears. Now bring your hand away from your ears and form them into fists holding the black sand and gravel exhaling as you do. "you were a part of me, because I needed you in the past, but now it's time to set you free, and I do so with love". Take a deep breath, and as you exhale slowly out of your mouth swing your arms forcefully to your sides , as you open your fists. Imagine the black sand and gravel being drawn into the ground behind you by a powerful magnetic force, deep within the Earth. Come back to full waking consciousness, feeling proud of yourself that you have completed these powerful healing meditations. After doing these healing meditations, it is advisable to drink water. After the visualization to use your hands to draw out of your body what you do not need, please wash your hands. See any residue being washed away in the water. Trust in the healing power of water. Know that anything that leaves you will not be passed onto anyone else. Be confident that your healing serves the healing of the world. Pay attention to any thoughts or feelings. If thoughts or images arise which disturb you, greet them with love and curiosity. Choose to see them as part of the healing. Be extra kind to yourself if you can for the rest of the day as healing continues. My thanks again to Daniel. If you have enjoyed this visualization please send him a blessing for the generosity and many hours of training that have led him to offer this work. See this guided script being a blessing to yourself and to many others. Move here to read Keith's expansion meditation which helped him to heal tinnitus. And to read a full list of Healing Meditations on this website. 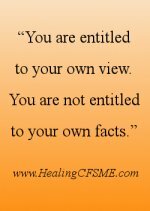 Or move to the home page of www.HealingCFSME.com.